Powerful Theme Options: Affiliaty theme options panel allows users to customize the theme in an easy and simple way. Click-Click-Done .There’s no code knowledge required. Easy Customization: What you need to create amazing coupon listings websites with no coding knowledge, Affiliaty comes with the multiple options panel. Home Categories with icons where the icons are picked by the admin. Search bar settings: You can easily customize the search bar fields. A select a store list is added to Affiliaty, Thus it’s very easy to filter coupons based on keywords and/or stores. Coupon listings’ settings: You can customize the elements to show on the coupon listings’ loop.Drag and drop them with ease. very handy, né? Coupon single page: A clean template for the coupon single page,a fully-customizable one! Related coupons: Display related coupons in the coupon single page.activate/deactivate it, how many coupons to display are optional. Unlimited colors: With the built-in color pickers in Affiliaty theme options you can change the color of nearly every element of your website. Responsive Ready: Affiliaty is fully responsive. it’s compatible on all new & latest browsers tablets and mobile devices. Flexible Layouts: Easily change the layout of the website by only couple of clicks. Translation Ready [NEW]: Affiliaty is easy to translate using poEdit program and pot file from language folder. 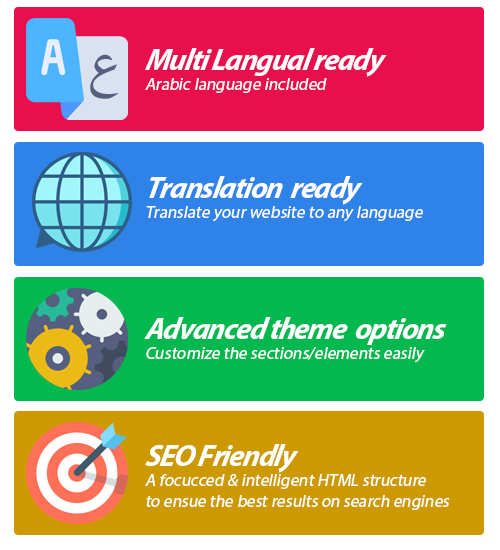 Multilangual Ready [NEW]: using qtranslatex plugin, You can use more than one language.the website content is dynamically translated. RTL Ready (Arabic language file is included) [NEW]: Affiliaty Is also designed to work awesome on LTR and RTL languages so do not worry we’ve covered complete Globe. Custom Widgets: Featured coupons widget, Custom button, Twitter recent tweets. Footer custom widgets: Use single, dual , up to 4 sections or no footer sidebars on any post or page. Control the sidebar width, position and style. SEO Friendly Code: Affiliaty built with following the best SEO practices to help for best ranking in search engine for your website compatibility. Custom codes: After all these options, You can place your customized css and js codes to affect the appearance of your website. Built On Bootstrap 3x-: Affiliaty was built on Bootstrap , the most popular HTML, CSS, and JS framework for responsive websites. More extra advanced options: There are more other options , we try to list few here such as : Featured coupons slider option, Set an animated page loader effect, Upload an image if there is no coupon listing image, Patterns ready, Social media icons,Top fixed menu or not , Full-width page template !……When we said there are tons of options in the backend, We meant it. Dedicated support: We take huge pride in our customer support and how it has differentiated us from the competition. We have a support team located 3 countries in just about every time zone and try our hardest to ensure support responses within 24 hours. Suggestions and Feedback: Our best ideas come from your suggestions so we take feedback seriously. If you have an idea or want to make a suggestion please let us know. Your Affiliaty now is installed and ready for use. We take huge pride in our customer support and how it has differentiated us from the competition. We have a support team located 3 countries in just about every time zone and try our hardest to ensure support responses within 24 hours. We respond to customers’ questions and provide a limited support only by email. If any of the previous steps didn’t work, email us by explaining the issue or question mentioning your username at appthemes.com. (If you don’t mention Your username, You’ll risk to receive a very late response. It’s the proof that You purchased our item ) We always try our best to help our beloved customers with small custom mods, but in case they take a long time and more efforts than editing a couple of php or css lines, we would recommend hiring an independent developer to help you with the task. or simply post it as a request at codeable.io. – Presales questions don’t have to go through the steps above! Email any question. anytime. – VIP* customers receive unlimited and prompt support by email. *: VIP customers are the ones they bought more than 3 of our products. Our replies are always fast, since 87% of our clients are VIP. -Fixed qtranslateX plugin error on the first install if it’s not activated. Affiliaty looks excellent. Is it compatible with latest Clipper 2.0? Does it compatible with Clipper 1.X? Unfortunately, affiliaty is compatible with 2.X only, we had a version where it was compatible with 1.X but we removed it. I’m interested in purchasing Affiliaty and have a pre-sale question. How does the ‘verified’ and ‘unverified’ labels on the coupons work? I don’t see how to edit this on the coupon page. Please explain? it’s based on the votes of users, if they find the coupon working or not. The admin can add the label manually in the backend dashboard if he tests it and it works for him. please update your affiliaty theme, we released a new update yesterday. I will see the pm and reply to it. Hi I can not update or get latest version of Affiliaty on downloads or this theme page because I bought it in a Job Themes theme bundle and it doesn’t seem to let me know of any updates. I have the older version. Could you please send the newer version? , the store description and the h3 ….they are big and have an ugly font. That was note the case with the old version. have you planed an update to match the css selctors of the new Clipper 2.0.1. If you activate your theme again, I can help you to adjust the ugly font. Yes, I made changes on my site, but only removed od move HTML portion. I want to fin the same look, because it was beautiful. Please test any store in a mobile and you will see. Not in your demo site because it’s still in clipper 1.6.4 ? Hi Mourad, I have already sent you an email. and waiting response to JS errrors. Did your JS errors ever get resolved? I just installed affiliaty on a new blog. All of my Clipper items like themes and plugins are all up to date. I am having a problem with the site displaying images for the coupons. 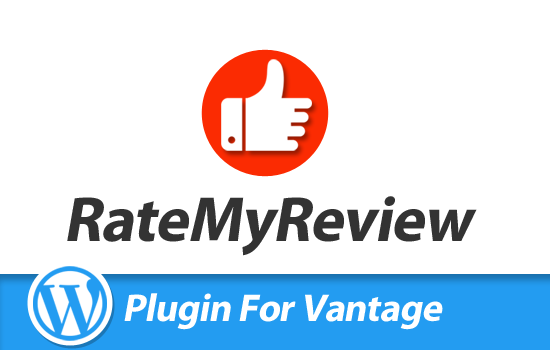 I have the share a sale plugin automatically submitting coupons daily. Could you tell me what i can do to fix the problem with the images? can you please send an email with the url so I can see what’s going on and fix it immediatly ? Excellent theme well done. One quick question how can I update the text in 3 Steps Section on home page? You can edit the text by using the affiliaty options panel.go to wp admin.then afiliaty.then hime settings.you find the text and the image for each step there. Thanks Spartac works perfect. Can you also tell me what is the best size for logo and favicon for affiliaty. Can you please tell me the logo size and I also sent two support tickets can you please look into them. Is anyone attending this group I have been waiting more than a month also created a support ticket about 3 weeks ago no reply. 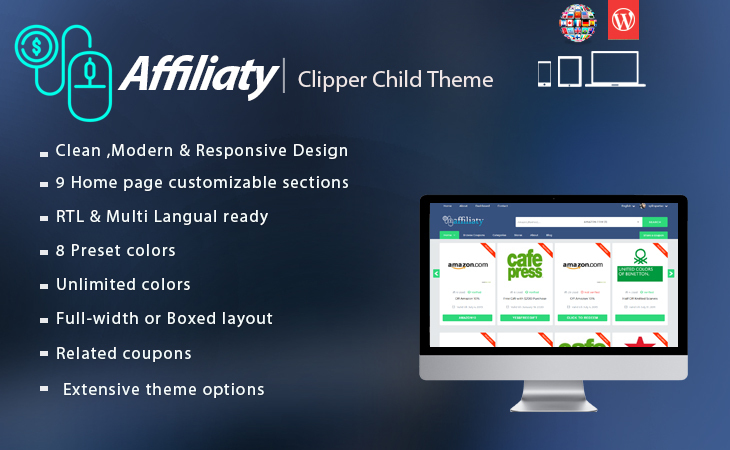 Hello – Interested in Affiliaty.Is it compatible with Clipper 2.0 and is it really responsive, as demo is not coming up on my mobile device. Theme doesn’t work with latest Clipper 2.0.1, waiting for the update and still no response from the team. in 10 minutes, we are going to upload it, all done. Regarding the compatibility, it works perfectly, only an issue was found with the stores slider. The update is still has a lot of bugs and even the theme font isn’t compatible with the clipper and conflicting with it. Tried to reach through the email and every possible way of the online chat support. But still no response from the Affiliaty team. Regarding the % discount sign, it’s not a bug, it’s an extra feature that the admin sets the discount label to show . Regarding the real discount on the coupons, so the users can do it through the front end form. 2. Main clipper theme is conflicting with the Affiliaty theme fonts, Your team member “Eva” also noticed this in my case and she said that our team has notified the clipper developers regarding this issue, but got no response from her after that. 3. in Affiliaty> Custom codes “Tracker script” doesn’t work, I’ve tried copying the G-analytics code there but it didn’t work. So I had to copy it in the clipper settings. 4. in blog front end, the featured image size isn’t fixed. It shows the full image size in the blog front end (siteurl/blog). To test it just set the bigger size images and it’ll be scrambled across the front end. It should be fixed like 300×250 or 250×200 etc..
2- I see that clipper’s fonts are imposed , but certainly there is a way to ” dequeue” it , so it will never be loaded , I added this one too to the tasks . 3-I add this to the list as well. 4- All noted, we are going to see them one by one right now. You’ll receive all fixed into a new update. Spartac, since there has been no new updates since these bugs were noted on 11/22/18 I am wondering when these bugs will be fixed and the patch be updated and sent out? The last update was on 11/1/18. spiderz – did you ever get a response on these bugs? I see there is no update since your email to the version, or released patches and it is now March 2019? No response from the team yet I’ve found another issue, Bullet lists are not showing in the post preview yet it appears in the editor. Blog posts views stats counter isn’t working, please add this one also in the next release. Will the various icodes plugins work on this theme? Can you include the last version of Affiliaty in the your pack “5 in 1 BUNDLE”. When I dowload the bundle U have still the old version. it must be included, but I will make a quick refresh. You’ll get it included, all the themes should be updated. Is your theme able to show related coupons on the store side from same category? Is there a way to login into the demo to see the real backend? Hi Joloshop, Thank you for your question. yes our theme supports related coupons from the same category. thanks, unfortunately I can not see it on one of the shop pages. you mean, related coupons on the store’s pages? explain how it should be please. Yes, I mean related coupons from similar shops within the same category. we can alter the filter in the related coupons file. Still waiting on the reply to the PHP 7 compatibility bugs – are you planning on making this fully php 7 optimized and addressing this? If so when? can use in he lang? No mate, still I’m waiting and probably thinking about moving to other theme platforms. I think clipper and its marketplace products days are over. No updates and nothing. @Spartac – There have been no updates to some pretty major bugs that Spiderz has listed on November 22, November 28, December 16, and February 23 . The theme itself is stable, but dueto wp major updates, clipper is having few issues that have nothing to do with affiliaty. We edited the appeared of the parent theme and added more options, mostly to the interface. I will reach out with appthemes team to get a report about clipper bugs and try to fix them on my own theme. we will release a new update afterwards. Hi there, are you talking about cron jobs? Having the problem that I am running a older Clipper 1.6 with an customized theme so I can not change so easy. Right now expired coupons are not getting marked as expired. Do you have a fix? First, thanks for your reply above on 3/23. I’m going to break this into three (3) parts 1.) PHP 7 support and optimization, 2.) Bugs outstanding and 3.) New feature requests. [1.] On 2/23 Spiderz found some PHP 7 specific errors in the coding, as copied below. 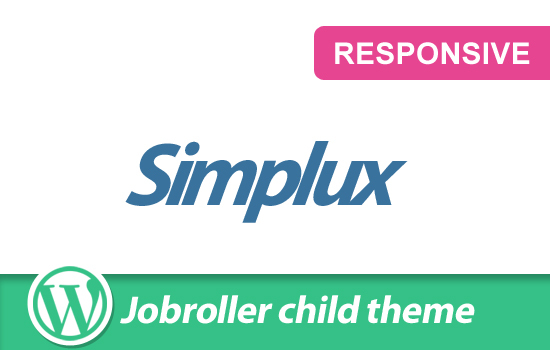 Can you work on making this child theme optimized for and address the PHP bugs? b.) Main clipper theme is conflicting with the Affiliaty theme fonts, Your team member “Eva” also noticed this in my case and she said that our team has notified the clipper developers regarding this issue, but got no response from her after that. c.) in Affiliaty> Custom codes “Tracker script” doesn’t work, I’ve tried copying the G-analytics code there but it didn’t work. So I had to copy it in the clipper settings. d.) in blog front end, the featured image size isn’t fixed. It shows the full image size in the blog front end (siteurl/blog). To test it just set the bigger size images and it’ll be scrambled across the front end. It should be fixed like 300×250 or 250×200 etc. e.) Bullet lists are not showing in the post preview yet it appears in the editor. f.) Blog posts views stats counter isn’t working, please add this one also in the next release. g.)The social media icons at the top header do not open in a new tab, but instead open within the same page which is not a good idea for SEO or user experience. a. )Do you have a “Header background image” you can customize on this child theme? Like the one found in Clippy within the “Header Layout” settings area? b.) I don’t see the “Featured Coupon” options configuration within the admin area, which allows you to select an icon for the a featured coupon. Where is that setting, I cannot find it on the demo? c.) In the HOME SETTINGS, it would be nice to Control the “Popular Stores” (or top stores) somehow – Could we have the option of adding “Featured Stores” instead of “Popular Stores” on the homepage instead? d) Add the ability to switch a SPECIFIC coupons thumbnail or image to something other than the default store image for that coupon! e.) an integrated function like “couponjoy” only better, that would actually COPY the coupon code in the coupon field so the user can just hit paste and not manually hit the copy button. It could also provide the ability to vote UP or DOWN on that coupon. Take a look at how coupons.cnn.com/priceline functions on a coupon! Hi couponlover, I replied to this one on clippy comments.